Sicily, the largest island in the Mediterranean Sea, served as a crossroads for ancient civilizations. 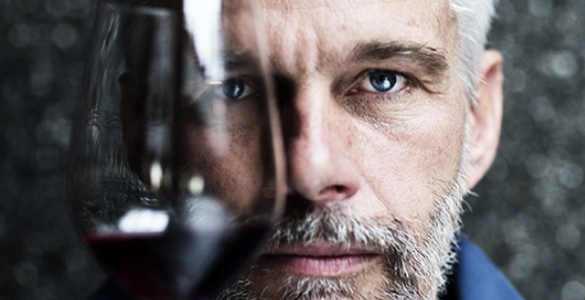 Today, it boasts one of Europe’s most dynamic wine industries. Though a part of Italy, Sicily’s breadth of landscapes approximates a small country itself. Get to know the history, grapes and regions of this sunny isle. The Greeks, Phoenicians, Arabs and Italians have all held sway over Sicily. Though the Greeks brought their advanced viticulture techniques, Sicilians have been making wine since 4000 BC. Its dry, warm climate features regular sunshine and moderate rainfall that suits wine production. Arid conditions reduce the chance of rot and mildew, especially in areas kissed with coastal breezes. This makes Sicily a prime candidate for organic farming. Olives, citrus and grains drive the agricultural sector beyond wine. In the past, however, farmers opted for higher yields, which turned Sicily into a bulk wine center. They distributed to mainland Europe to boost thin wines, as well as to China and India, who imported concentrated Sicilian must to sweeten foods. Heritage regions like Marsala did put Sicilian wine on the map. Wine traditions in each of the island’s regions, from Vittoria to Mount Etna, have remained strong. In the 1980s, a resurgence in interest brought improvements in viticulture and winemaking. Today, Sicily turns out some of the most exciting labels in Italy. 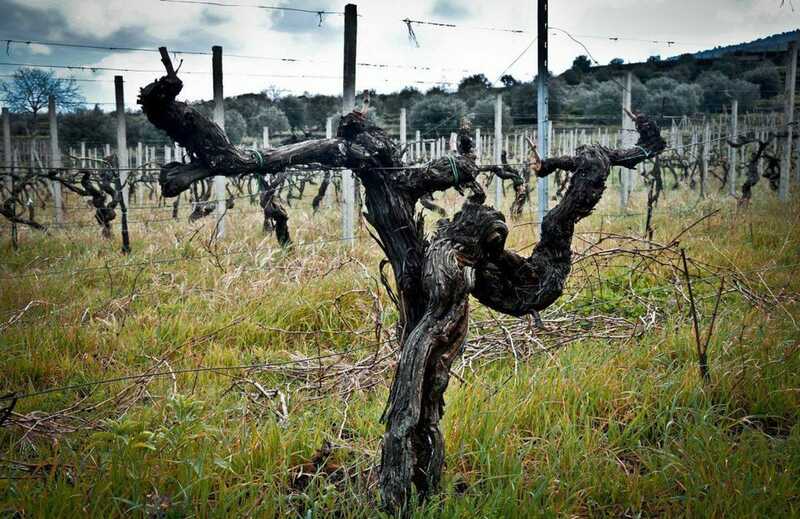 Six indigenous Sicilian winegrapes previously deemed lost have been rediscovered and added to the Italian National Register of Grape Varieties. The six grapes are the reds Inzolia Nera, Lucignola, Orisi, Usirioto and Vitrarolo, and the white Recunu. ‘It’s an extremely significant achievement for the protection of the Sicilian viticultural heritage,’ commented Edgardo Bandiera of the Sicilian Council of Agriculture. Let’s start again to browse on the data Wine Searcher to see which are the wines of Sicily that have been searched on the Internet during 2018. We speak about a wine that is stil an emblem, a distinctive product of our island: the Nero d’Avola. Here the result of last year. “This is a wine you can bite,” declares Cantine Florio’s oenologist, Tommaso Maggio, as he draws some 1939 Marsala directly from the cask. “It’s almost like jam.” Nearly 80 years old, this Marsala was born at the start of the World War II. For anyone whose main experience of islands is the Isle of Wight, Sicily comes as a bit of a shock. Admittedly, both have plenty of sea, beach and pensioners driving round on holiday. But, whereas you can cycle most of the way round the splodge in the Channel in a day (at least, you can if you’re fitter than I am), Sicily is big. And lumpy. Even if he doped himself up like Lance Armstrong, Chris Froome couldn’t get round this little beauty in 24 hours. At 25,000 sq m, Sicily is bigger than Wales and its geography is, frankly, nuts. On the meeting point of two tectonic plates, it’s a mountainous island with no shortage of 1500m-high peaks in the central range and along the north coast. Sicily has many positive images (as well as a few not-so-positive), but when it comes to Sicilian wines, the subject is a bit of a puzzle to many. There are several reasons for this, but lately, producers in select areas such as Vittoria, Noto and Etna are crafting some pretty special products that are receiving a lot of attention and changing the mindset of consumers and the wine trade about the wines of Sicily. Perhaps the most positive notion of Sicily is that everyone knows the name, and anyone can find it on a map of Italy; this last point is certainly not true with some of the country’s regions such as Abruzzo, Marche or Emilia-Romagna. So familiarity helps gets Sicilian producers get a foot in the door in the market, but unfortunately the identity of this region’s wines has for too long been one of sub-par quality. This is based on the notion that Sicily is not a place to produce wines of elegance and finesse; the hot climate leads to lower acidity, meaning the wines lack structure and freshness. Add to that the fact that for decades, most table wine that emerged from the region was little more than bulk wine; flavorful, yet heavy, these wines were often shipped in tankers to other parts of Italy to “beef up” lighter red wines. In fact, the history of quality for Sicilian wines in previous years was primarily focused on Marsala, one of the world’s most highly praised fortified wines, made in several styles, from very dry to medium-sweet. Yet even given the renown for the finest examples of Marsala, the strongest image with this wine for many consumers is for cooking, as with Veal Marsala or Chicken Marsala, hardly the stuff of greatness. About 40 years ago, a few producers decided to do something about the image of Sicilian wines, so production of bulk wine was decreased – although it is still a large part of the region’s wine industry – and planting of international varieties such as Chardonnay, Cabernet Sauvignon, Merlot and Syrah were undertaken. Add to this a new focus on indigenous varieties such as Grillo and Carricante for white and Nero d’Avola and Frappato for red, and all of a sudden, the Sicilian wine pallete was aglow with a multitiude of colors and flavors. Talk to enough Sicilian producers and you’ll learn they believe that Sicily is a magical place to make wine, as it is such a distinctive land. 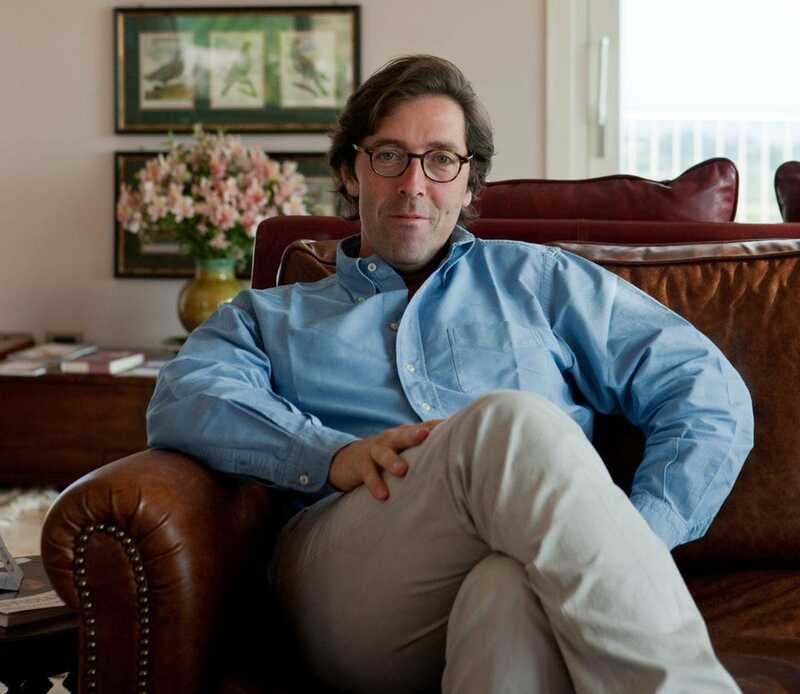 “The climate, the countryside, the customs, the terroir and its varieties are very different from other regions,” says Alessio Planeta, co-proprietor of his family’s winery, one of the region’s greatest ambassadors. Examples of Etna Bianco are made primarily with the local Carricante grape and have various characteristics, with some offering melon and pear fruit, while others display distinct minerality, even resembling the wines of Chablis in Burgundy. Overall, the best of these whites have shown tremendous improvement in a very short period of time. It is the reds however that are most famous, made from the indigenous Nerello Mascalese variety. These wines have been called “Italy’s Burgundies,” and no wonder given the appealing cherry and sometimes strawberry aromas and its sleek finish. Some producers have opted as of late for a more powerful style of Etna Rosso that is more tannic (almost like a Nebbiolo-based wine from Piedmont), but this dual identity only adds to the allure of the red wines of Etna. Arguably the best-known red from Sicily over the past twenty years has been Nero d’Avola, an indigenous variety. Its popularity is due to its appealing black cherry and plum fruit backed by relatively smooth tannins. Sicilian producers love it, as it also works well when blended with other red varieties such as Merlot and Syrah. The Duca di Salaparuta winery bottled the first monovarietal Nero d’Avola they named “Duca Enrico” back in 1984; today this is still regarded as one of the best examples of this variety. Other classic examples include the “Mille e Una Notte” from Donnafugata (about 90% Nero d’Avola) and the “Santa Cecilia” from Planeta, labeled as Noto DOC. This last wine, initially made in the 1997 vintage, has become a classic example of Nero d’Avola structured for aging, as 12 and 15-year old bottles are still drinking well. Another red that has become successful over the past few years is Cerasuolo di Vittoria, a blend of Nero d’Avola and Frappato. Cerasuolo means “cherry like”; this fruit emerges in the aromas, along with red and orange rose perfumes, and there are soft, silky tannins, thanks to the Frappato. Here is a red that tastes great when chilled for 15-20 minutes, and given the lightness of the tannins, it is ideal with duck breast, chicken in red wine or even tuna. Top examples include the Feudi del Pisciotto “Giambattista Valli”, the “Floramundi” from Donnafugata, and the alluring, ultra delicious “Dorilli” from Planeta. Briefly on whites, Grillo is an indigenous variety that for years was used in the production of Marsala. But on its own, it has appealing exotic fruit aromas and pairs well with a variety of foods, from poultry to lighter seafood; look for the examples from Valle dell’Acate and the “Sur Sur” from Donnafugata. The rest of this interesting article and the notes on current releases are here. Sicily is again the subject of a lesson of Eric Asimov’s Wine School; this time he speaks of Frappato on this New York Times’ article (here you can read it the complete post). While it is true historically that Sicily’s best-known wines internationally were sweet, I would guess relatively few people in the last 20 years have seen or consumed a Sicilian sweet wine. A lot of bad ones are available, though, and the best known, Marsala, has unfortunately become a synonym for cheap “cooking wines.” Good Marsalas, like those from De Bartoli, can be exquisite, though expensive. As for nero d’Avola, it became well known beyond Sicily in the 1990s, primarily because a few successful examples allowed Sicilian winemakers to focus on it rather than cabernet sauvignons and merlots designed to earn approval in the export market. While Sicilian nero d’Avolas back then won praise, many of the wines were heavy, out-of-balance or just plain bad. Now, the reputation is mixed for varietal nero d’Avola wines, though I have certainly had some excellent examples. Nonetheless, nero d’Avola continues to be an important grape. 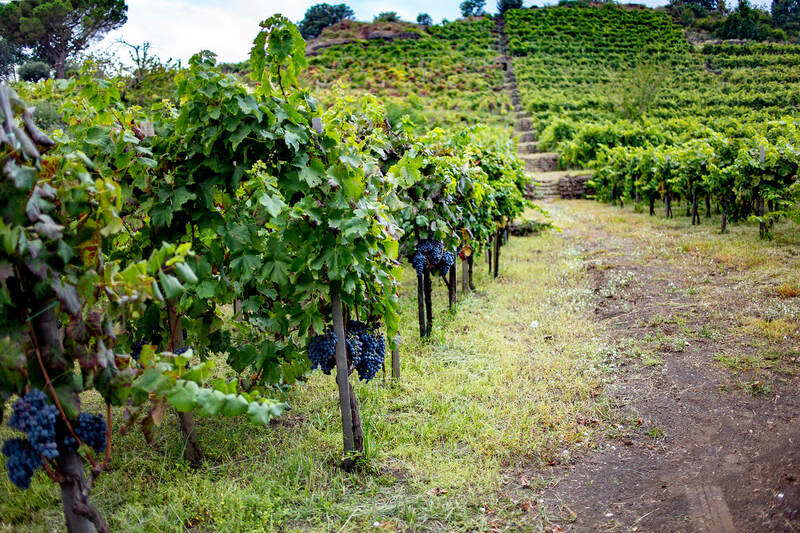 In the southeast corner of Sicily around the city of Vittoria, it is often blended with frappato to produce what is now recognized as one of the island’s best red wines, Cerasuolo di Vittoria. Did frappato and other newly anointed Sicilian red grapes like nerello mascalese simply pop into being through puffs of magic? Of course not. They, along with nero d’Avola and many others, have long been grown on the island. For generations, they were made into bulk wines and shipped to northern Italy or France, where they were used to add color and power to local wines deemed too anemic on their own. They were also consumed locally in the communities where the grapes were grown.